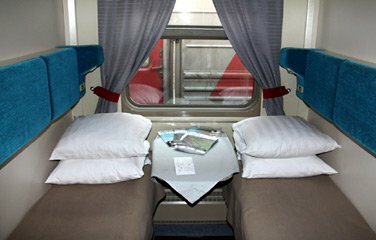 Travelling by the Trans-Siberian Express Train “Rossiya” (Moscow – Vladivostok) is the longest railway passenger train trip in the world. This train goes through 2 continents and passes by about 90 cities and towns with more than 60 stops on the way. The duration of this non-stop train travel is 6 days and its length is 9288 km. While the journey on the main train of the country, you can study the geography of Russia: this train route runs through 11 regions, 5 territories (lands), 1 autonomous district and 1 republic, crosses 16 large rivers from the Volga river to the Amur and Ussuri rivers. The train “Rossiya” begins its route from the Yaroslavsky railway station in Moscow and finishes it at the Vladivostok train station. On the 1778th km of Transsib Rail Road the train passes through the so-called border between Europe and Asia, and from 5276th km the train “Rossiya” runs 207 km along Lake Baikal. For the first time the branded train “Rossiya” departed from the platform of the Yaroslavsky Railway Station towards Vladovostok on the 30th of September in 1966. In September 2016, two trains of name and brand “Rossiya” received a thematic design due to the action of protecting the Amur tigers and Far Eastern leopards: the images of these rare animals are depicted on their carriages. Time in the route on the route Moscow – Vladivostok is 144 hours 10 minutes, and from Vladivostok to the capital – 145 hours 59 minutes. The Train ROSSIYA follows all year round with departure from Moscow (to Vladivostok) on the odd days; and with departure from Vladovostok (to Moscow) on the even days. 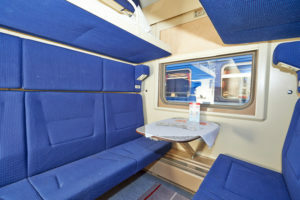 The train “Rossiya” has the carriages of the 1st class and the 2nd class; and also posseses a comfortable restaurant car. 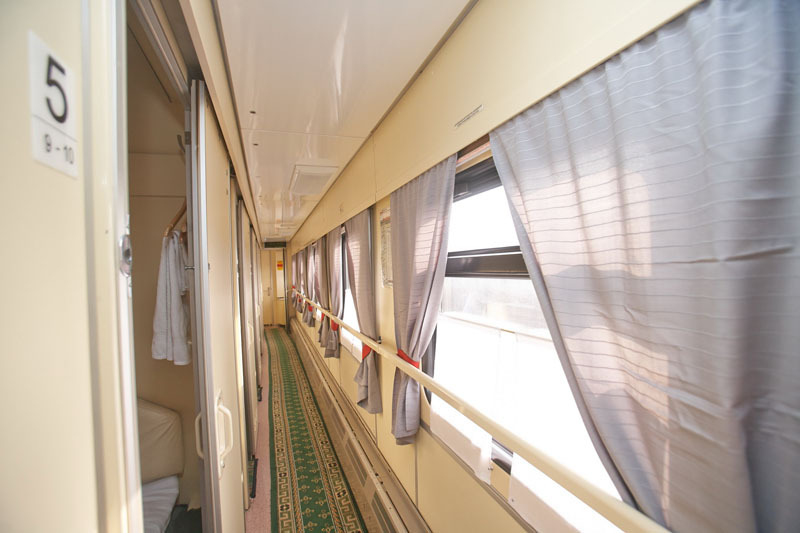 The branded train “Rossiya” is considered to be one of the best trains in Russia in terms of the comfort, upkeep, service, kindness of staff. The list of the main and most important transsiberian cities and towns of the route of the train “Rossiya” is as follows: Moscow – Perm – Ekaterinburg – Tyumen – Omsk – Novosibirsk – Krasnoyarsk – Irkutsk – Ulan-Ude – Khabarovsk – Vladivostok. The branded Express Train №015/016 “Ural”, that goes between Ekaterinburg and Moscow, has started its service since 1964. 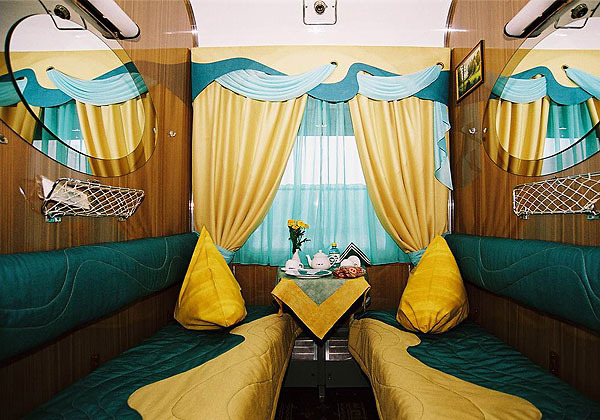 The train comprises the carriages of economy (tourist) class with 2nd class compartments; and business class carriages with 1st class compartments, where passengers are provided with additional services (three meals daily, newspapers & magazines, hygienic sets, etc). 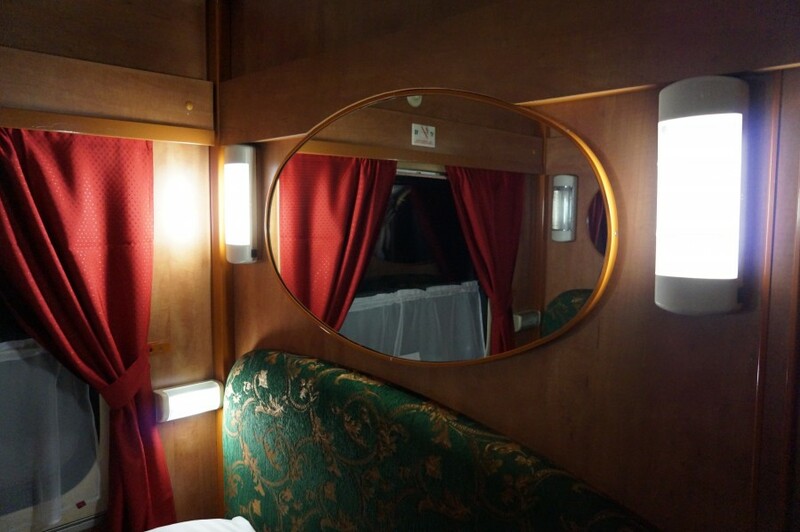 This comfortable train “Premium” class is equipped with satellite communication and Internet compartment. The Train URAL № 015/016 follows all year round with departure from Moscow (to Ekaterinburg) and from Ekaterinburg (to Moscow) on the odd days. 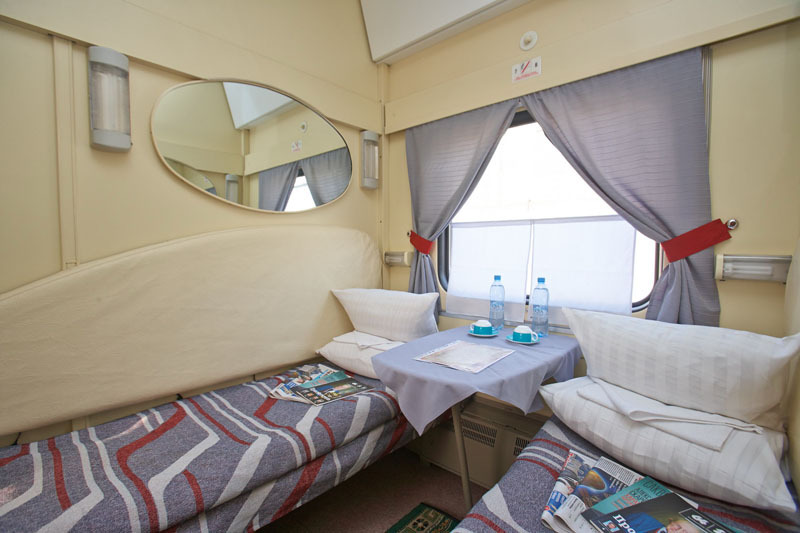 The most significant cities on the route of the train “Ural” are as follows: Moscow – Kazan – Ekaterinburg. 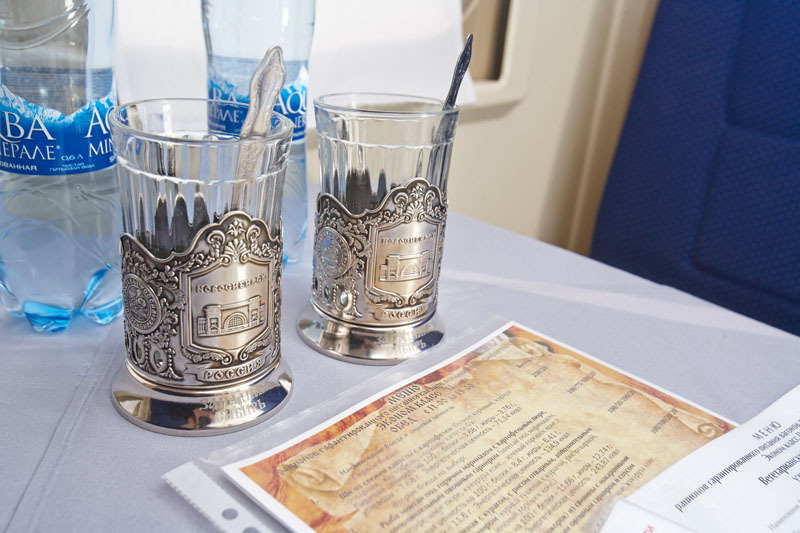 The start-up of the branded train “Demidov Express” (St. Petersburg – Ekaterinburg) was timed to coincide with the 300th anniversary of St. Petersburg, the 280th anniversary of Yekaterinburg and the 125th anniversary of the Sverdlovsk (Ekaterinburg) Rail road. In its first journey this train left from the Ekaterinburg railway station under the march, played by the Preobrazhensky regiment. 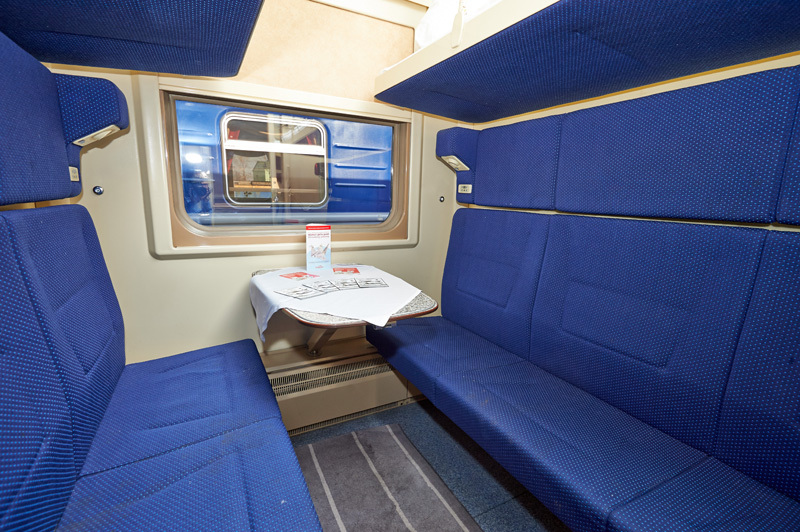 In 2006 the train was recognized as the best brand train of Russian Railways. The train was awarded by the diploma of the International Demidov Foundation. Direct descendants of the Demidov dynasty took part in the creation of this remarkable transsib train. On the route Ekaterinburg – St. Petersburg, the journey time is 35 hours 35 minutes, and from St. Petersburg to Yekaterinburg – 35 hours 25 minutes. The train comprises the carriages of the 1st class and the 2nd class; and also posseses a restaurant car. 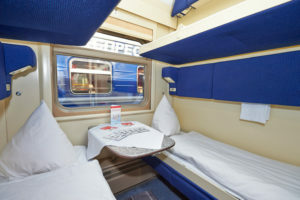 The Train DEMIDOV EXPRESS № 071/072 follows all year round and depart from St. Petersburg (to Ekaterinburg) as well as from Ekaterinburg (to St. Petersburg) every day. 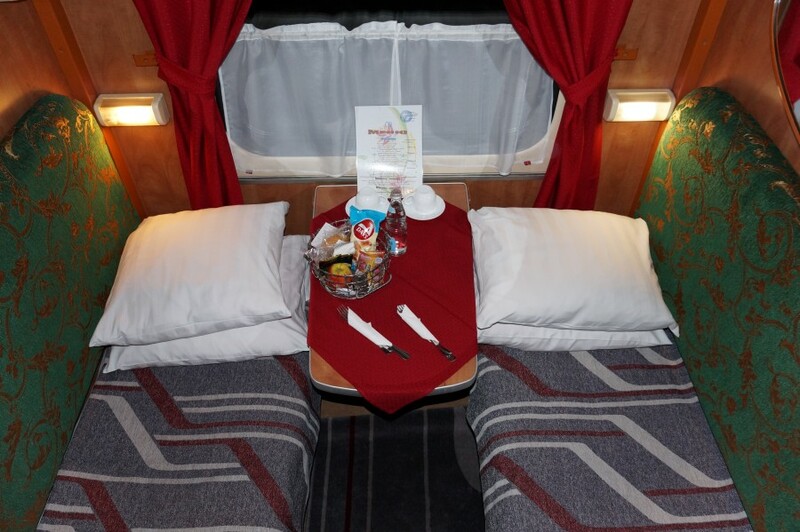 The most important cities on the route of the train “Demidov Express” are: St. Petersburg – Perm – Kungur – Ekaterinburg. The first trip of the Express Train “Yenisei” (Moscow – Krasnoyarsk) was made on the 10th of December 10 in 1993. The train was named in honor of one of the greatest rivers in Siberia. Time in the train journey along the route from Krasnoyarsk to Moscow is 62 hours 51 minutes, and from the Russian capital to Krasnoyarsk – 62 hours 22 minutes. On its way, the branded train “Yenisei” overcomes 3955 km, crosses 4 time zones. The train possesses the carriages of the 1st class and the 2nd class; and also has a restaurant car. The Train YENISEI № 055/056 follows all year round and depart from Moscow (to Krasnoyarsk) on the even days; and from Krasnoyarsk (to Moscow) on the odd days. The most remarkable cities on the route of the train “Yenisei” are: Moscow – Perm – Ekaterinburg – Tyumen – Omsk – Novosibirsk – Krasnoyarsk. 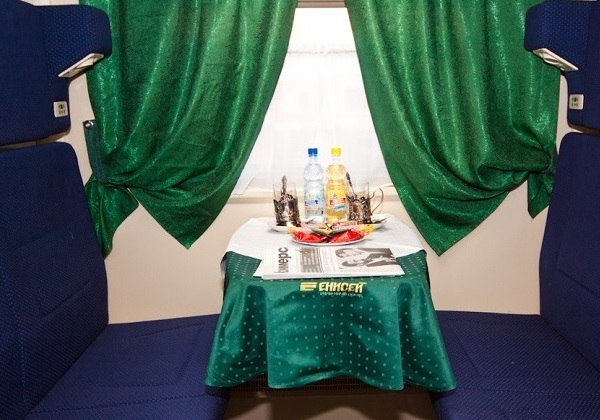 The Express Train “Tomich” (Moscow – Tomsk) is one more transsiberian branded trains of good quality. It has got its name from the city Tomsk, that is the main destination of this train route. Time of the train trip from Tomsk to Moscow is 56 hours 12 minutes, and from Moscow to Tomsk – 55 hours 39 minutes. The train has the wagons of the 1st class and the 2nd class; and also comprise a restaurant carriage. The Train TOMICH № 037/038 follows all year round and depart from Moscow (to Tomsk) on the even days; and from Tomsk (to Moscow) on the odd days. The most important cities on the route of the train “Tomich” are: Moscow – Perm – Kungur – Ekaterinburg – Tyumen – Omsk – Novosibirsk – Tomsk. 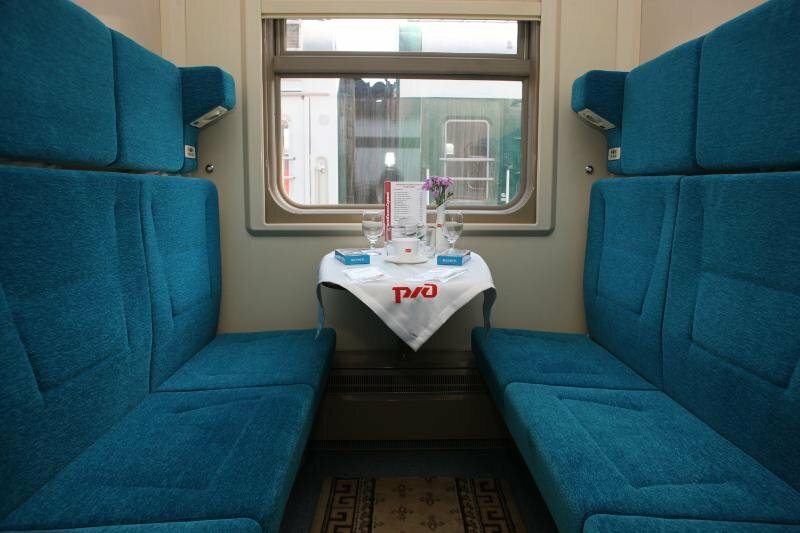 The carriages of the Express Train “Okean” (Khabarovsk – Vladivostok ) are painted in blu in order to emphasize the meaning of the name of the train (‘ocean’). The design of the compartments of the train OKEAN is also made in a color grade, reminding that its way reaches the shores of the Pacific Ocean. Travel time: on the route Khabarovsk – Vladivostok the journey time is 11 hours 20 minutes, and the trip from Vladivostok to Khabarovsk takes 11 hours and 15 minutes. 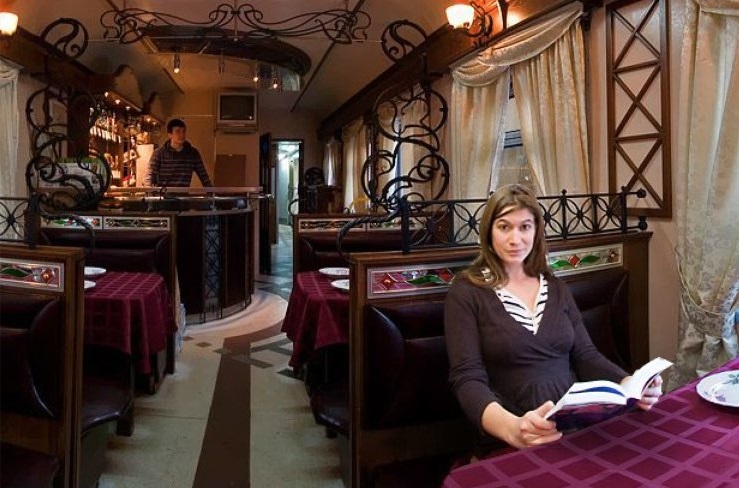 The train has the the 1st class and the 2nd class coaches; and also possesses a restaurant car. The Train OKEAN № 005/006 follows all year round and depart from Khabarovsk (to Vladivostok) as well as from Vladivostok (to Khabarovsk) every day. 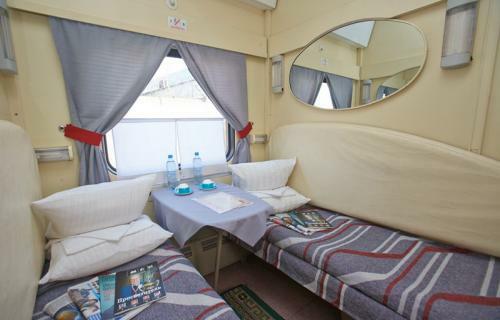 The most significant cities on the route of the train “Okean” are as follows: Khabarovsk – Ussuriysk – Vladivostok. 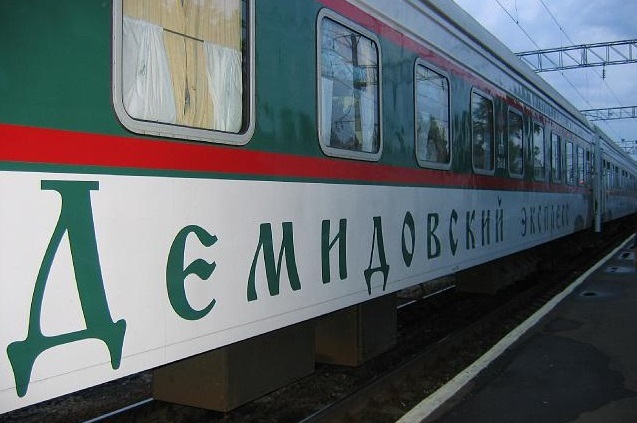 The carriages of the Express Train “Malakhit” (Moscow – Ekaterinburg ) are painted in green to emphasize the significance of the train’s name (‘malachite’, ‘green mineral’). 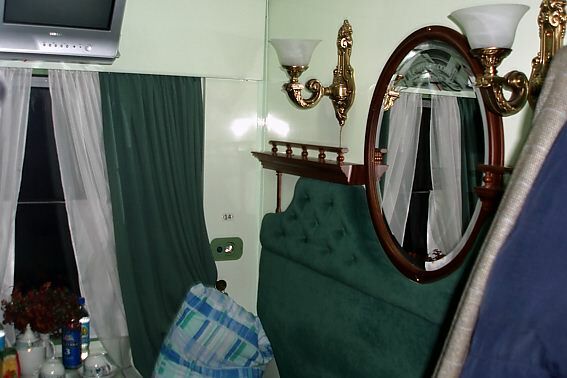 Its interiors (carriages) are decorated in green colours, corresponding to the malachite green mineral – the so-called symbol of the Uran mountains, mentioned in Bazhov’s fairy tailes as a magic stone. Travel time: from Ekaterinburg to Moscow the time of the train trip is 32 hours 18 minutes, and from the Russian capital to Ekaterinburg – the duration of the journey is 32 hours 37 minutes. 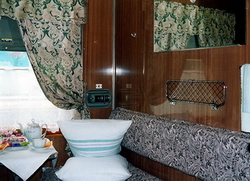 The train comprises the the comfortable 2nd class carriages; and also has a restaurant car. The Train MALAKHIT № 049/050 follows from Moscow (to Ekaterinburg) as well as from Ekaterinburg (to Moscow) every other day. The most important cities on the route of the train “Malakhit” are as follows: Moscow – Perm – Ekaterinburg.